Academy of Podcasters Awards announced for Podcast Movement on July 31st. Including a Hall of Fame. Should be interesting watching. I, along with a LOT of other “podcast gurus”, have predicted that feedburner is next. I’m not saying that if you use feedburner you should get off now….. Ok I am, but if you don’t plan on moving, at least have a plan in place for WHEN (not if) Google kills it. Just sayin! Facebook has added a new subcategory for pages called “podcast”. To find it, create your page and don’t worry about what category you put it in because it won’t matter right now. Once you get it setup, go into your page and where it says “category” select edit. Then select “other” as the main category and podcast as the subcategory. That’s it. 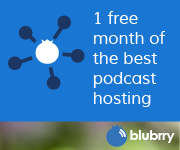 There is a podcaster I know (who shall remain nameless) who podcasts for “free”. Yes, of course he had to buy a microphone and a computer. I’m guessing he also pays for a connection to the internet (Although you could get that free if you want to travel to it). It is doable. His setup is kind of cool, but he is worried about part of his system. That part…. FEEDBURNER (we don’t talk about that enough 🙂 ) He uses blogger for his webpage and runs 3 podcasts off of it. The problem is that Blogger (also owned by the RSS Hating Google) doesn’t have a podcast compliant feed. He stores his files on Archive.org and puts them in the feed at blogger and uses feedburner to add the tags needed to podcast correctly. Feedburner still does that correctly (for now). So, he is (mostly) podcasting for free. It is possible. Another new friend of mine, Stan, Podcasts cheaply using Buzzsprout. He’s on the $12 per month plan. But thats all he has to pay. He can upload 3 hours of podcasts per month for that (they charge by the hour, not filesize) He uses the buzzsprout page as his website and to generate his feed. Yes, there are problems with that setup, as with the friend on blogger, but it works. His podcast is #1 in his niche! All this from buzzsprout which is a service that most will poo poo (including me). BUT, It can be done. (Check out stan’s podcast about the App CyberDust here: http://cyberdust.buzzsprout.com/ ) There are “other” reasons why you don’t want to use buzzsprout but I won’t get into that here. I guess what I’m getting at is, a lot of us “Gurus” get wrapped up in how to set things up using the “best” way we know for growth and future proofing your brand and your system. The point is, that isn’t necessary in all cases. What I teach here is for the Advanced Amateur podcaster or for the beginning professional podcaster. 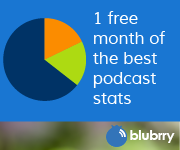 If you use my methods, your podcast can grow to unbelievable size and you won’t have to change any of the technology. That being said, what I teach here is certainly NOT the only way. I’m learning that it might be good to help people at all levels of expertise and budget levels. (I still think feedburner is a bad idea) When you really get down to it, Content Rules! When requesting help with something. PLEASE include the login email for your account at Blubrry.com. We do not need your password. Include your Feed address, your website address and your iTunes listing address if that is what you are asking about. It would save several emails back and forth on the email system or it would save time in the forum to answer your question. Blubrry, unlike other platforms, leaves a lot of the setup to you, so YOU own it. We don’t control your feed so we can’t fix it. BUT if you give us the feed address, we can help YOU troubleshoot it.